When a drowning or near drowning accident occurs as a result of negligence or a defective product, the victim or family of the victim might be able to hold the responsible party accountable for their injuries or loss. Every case is different, so it is important to discuss your particular options with a personal injury attorney. As soon as the days get longer and warmer, people start heading to the water. Swimming pools, lakes, the ocean-they all provide a place to cool off and have some fun. Entire families gather by the poolside or shore, and sometimes people can be lost in the crowds. It can take only a moment before someone goes under the water and doesn't come back up right away, all before anyone has even realized that person is gone. 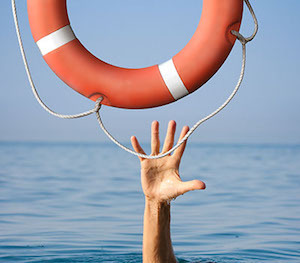 Drowning accidents can be devastating to a family, especially because they can happen so fast. One second your loved one is swimming happily beside you, and the next second they can be seriously injured, or even killed. If you or someone you love have been injured or suffered a loss as a result of a drowning accident, you should talk to a personal injury lawyer with our firm immediately.